Life happens while you are making other plans! 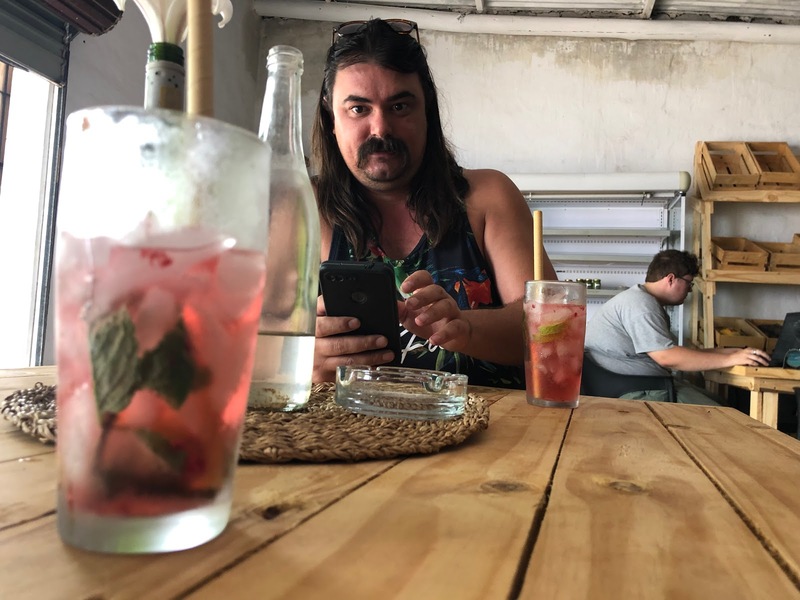 While trying to escape the humid Lowveld summer heat of South Africa's Limpopo Province, we were in dire need of a good coffee. It's been several days since we've seen an espresso as we were heading up Magoebaskloof. Halfway up the pass, we passed a cafe sign and immediately decided to turn off the main road to inspect further. What we found proved to us, as we've discovered many, many times before, that when you travel, you should turn off the main road and prepare for the truly extraordinary discoveries. This time, we found great coffee, learned about a brewery, fed a pet goat, made cheese, and had blueberry gin for breakfast. 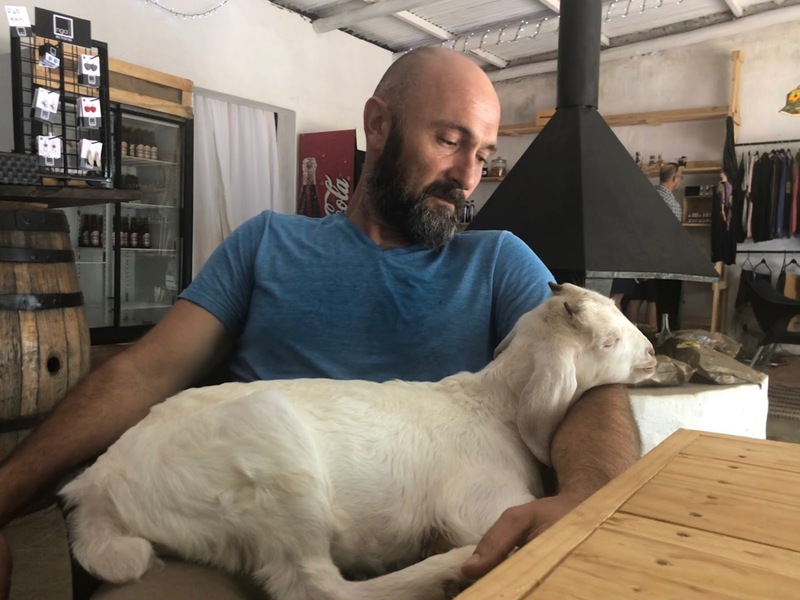 Harry and Agie are the owners of the new Magoebaskloof Farmstall and Cafe. You cannot miss the venue on the side of the picturesque Magoebaskloof pass, between Polokwane and Tzaneen. It is a farm stall stocked with local produce and a whole lot of heart and passion. You will find wine, gin, vegetables, plants, oils, soaps, pies and a little of everything the people of Magoebaskloof is proudly producing. Yes, you are reading it right. You can buy alcohol-to-go on the side of the road in South Africa. Not only can you buy local wine, beer and gin, but Harry will also mix you a cocktail or spike your favourite latte for you, any time of the day. We were spoiled when we checked in. The Flatwhite was done correctly, and the locally baked pies were divine. However, it was the blueberry gin we had for breakfast that made our visit most memorable. I think Harry played with Dolphins for a living and Angie, who is Canadian, were catching elephants in the Lowveld when they met. One thing led to another, and now a little Harry is running around the farmstall playing with a pet billy goat, and a big Harry is pulling espresso shots while entertaining tourists and regulars with his stories. As they say, life happens while you were making other plans. 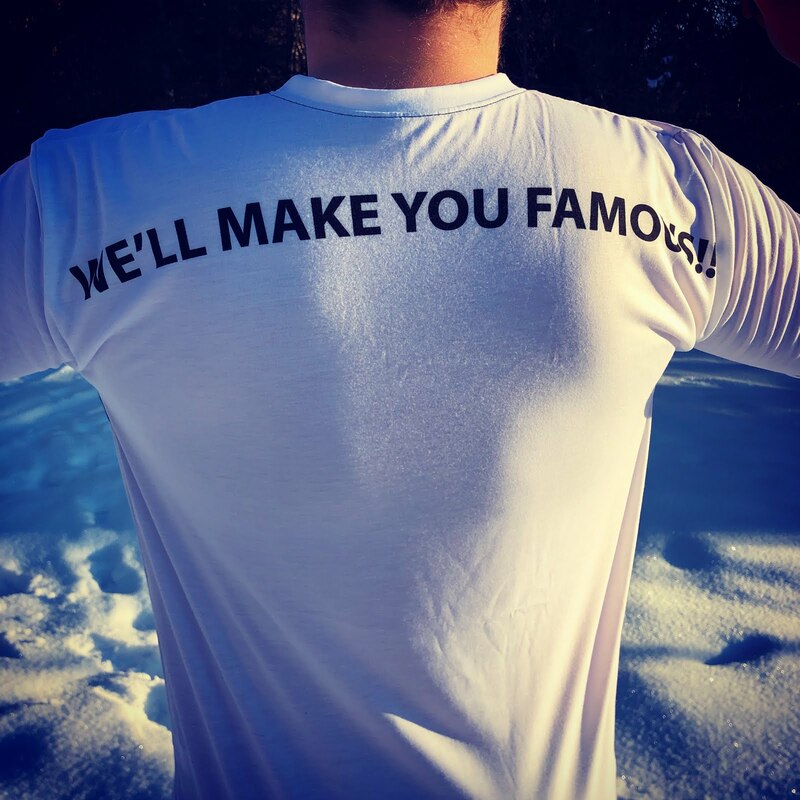 We are glad to see the amount of passion Harry and Angie brought to their fledgeling business, and we wish them all the success they can handle. Turning off for a coffee at a farm stall is usually a reasonably trivial affair. We've stopped many times all over the world for coffee. 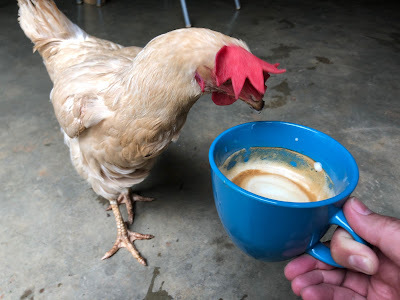 It is often only about coffee. 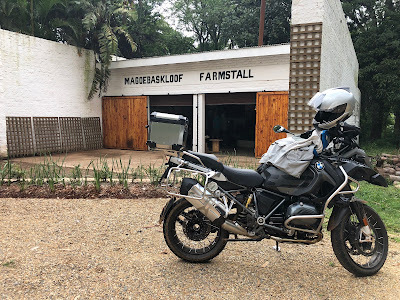 However, that morning in Magoebaskloof, something as simple as turning off the main road, a handshake, a blueberry gin and a pie later, put us on a completely different path, and a much more exciting journey. We could have taken the safe, more comfortable option and simply continued towards the next town for a coffee at a familiar stop (which we did do several days later, only to have a disappointing coffee). Instead, our visit that morning with Harry lead us to a brewery, we discovered a fantastic camping spot by a river, we attended a local food festival, made cheese at an organic farm, ate a divine lamb pie, discovered cream cheese samoosas, and had a goat curry with mielie pap. What it taught us again, even as seasoned travellers, is that you have to turn off the main road for your coffee. You have to say 'yes' to what is new and unfamiliar, and be prepared to experience and discover. If you do, life will gloriously happen. It will unfold around you with experiences you could never have imagined, even if you were trying to plan it. Here is our Two Cowboys top tip about our visit to Magoebaskloof Farmstall and Cafe; "Go! Travel! Turn off the main road. Have a coffee. Introduce yourself. Say 'yes' to what happens next and enjoy the journey because life happens even if you make other plans. All you have to do is be ready to discover." Buckle up and get ready for the ride. Always a warm smile to greet you - love stopping at Harry & Angie. New local fresh produce keeps arriving - very exciting. It's a magic spot - pop in!